The secret behind the planters? Mark and Karin Bildsten of Bildsten Landscape Services. 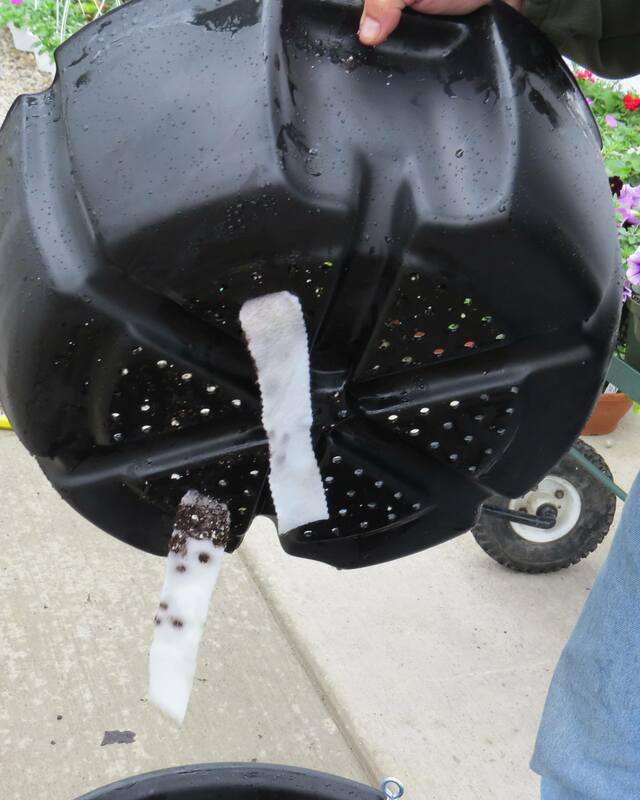 As it happens, Mark and Karin are the undisputed best in class for flowering containers here in Westerville and in many other local municipalities; suburbs like New Albany and Grove City are sporting, or rather, sprouting, the Bildsten’s baskets. 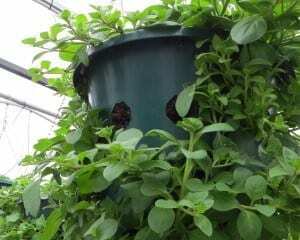 A tour of Mark and Karin’s 10,000 square foot greenhouse space was filled close to overflowing with flowering plants primed to bloom within the month. 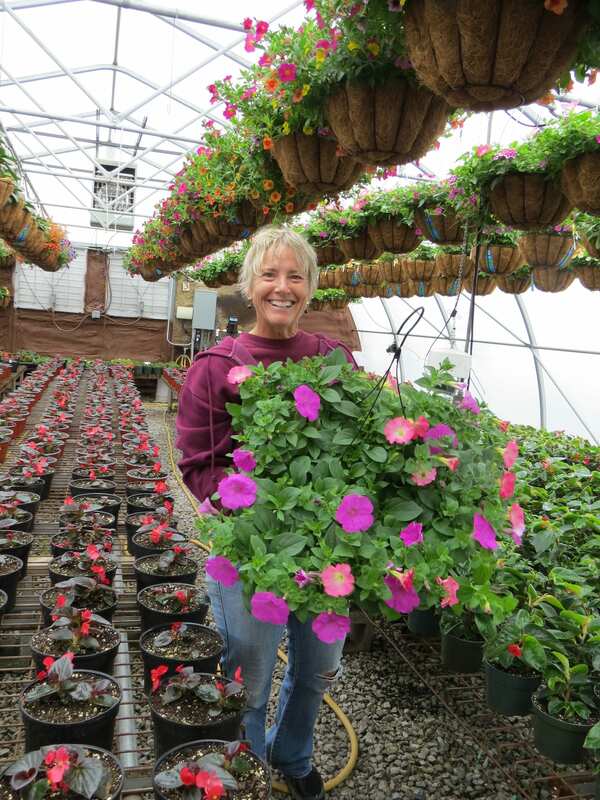 By the end of May, however, the greenhouses will be empty as their signature baskets and container gardens will be delighting local residents everywhere. 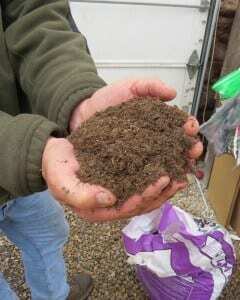 Use a good soil mixture. The Bildsten’s use a blend of Canadian peat moss, pine bark and pearlite—which is essentially very fine, processed mulch that allows for the delicate balance of water retention and evaporation. Use a good water-soluble fertilizer daily. The Uptown baskets are fed 150 ppm (parts per million) of nitrogen each day. 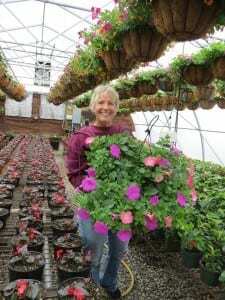 Make sure containers and pots are receiving at least ½ day of full sunshine; without the right conditions, it won’t matter how much care is taken with the baskets, they won’t thrive! 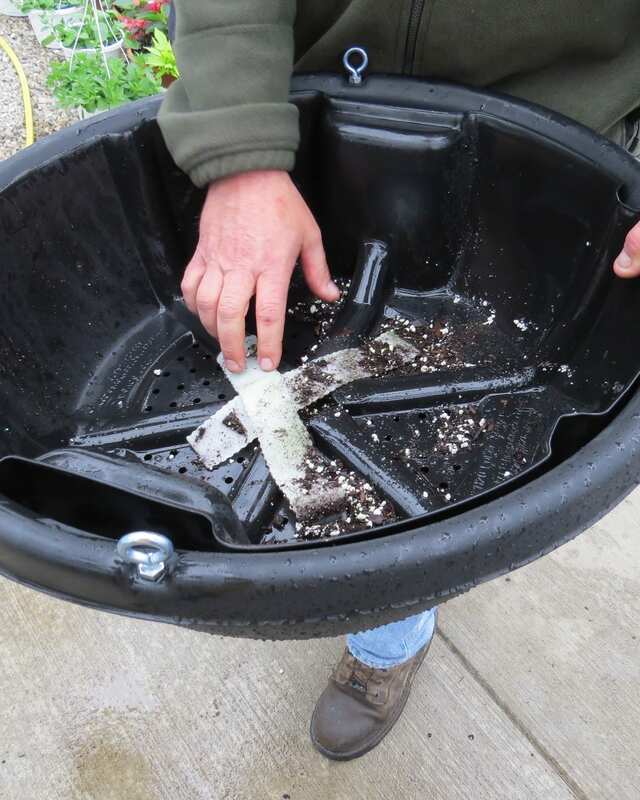 If you’re not sure that you want to try your hand at potting your own baskets, the Bildsten’s do sell hanging and non-hanging containers based on the look and style of the Uptown pots. You can find them through June at the Westerville Farmers Market on Wednesday afternoons or they can be purchased through school fundraisers for Alcott and Fouse Elementary schools. Amazingly enough, when Mark and Karin aren’t tending to their flock of flowers, they are busy trying to innovate the hanging containers which have become the focus of their business. 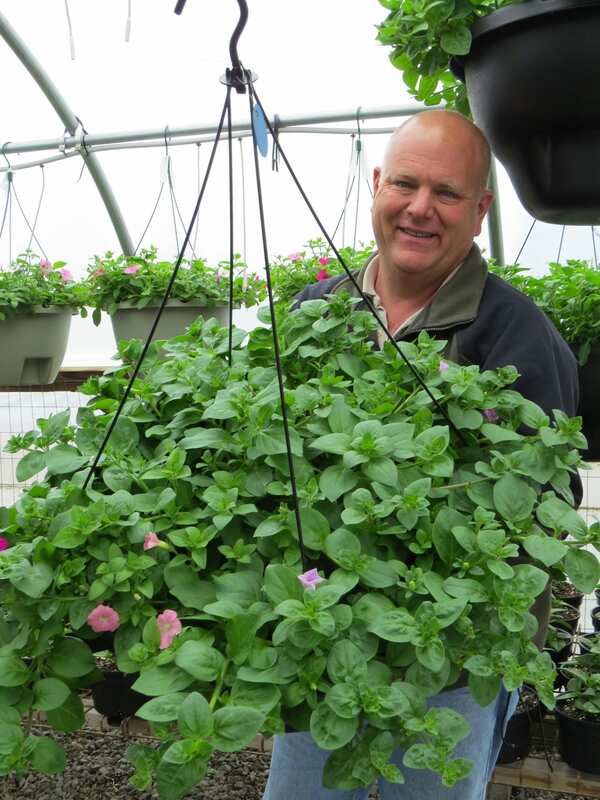 Working with the manufacturer, Mark Bildsten has developed pots that, through their efficient water delivery system, are streamlining the care and reducing the cost for maintaining these beautiful displays. Keep your eyes peeled; the baskets will begin to dot the Uptown thoroughfare (and beyond…further south on State Street this year!) beginning the weekend after Mother’s Day. Whether you bring home a pot from the Bildsten’s or create your own—best wishes for a successful and beautiful planting season!